Why offer Billy such a six-pack of snark? Because if there’s anything that Bud Light and Brut IPA drinkers can enjoy together, it’s making fun of gluten-free beers. Humor like this is lazy, but it’s not totally unfounded. For a couple of decades now, gluten-free beer has been a victim of the veggie burger problem. Let me explain. The issue isn’t that all gluten-free beers taste bad. I dare say that some of them taste all right, and a few of them taste pretty darn good. Glutenberg, a gluten-free brewery based in Montreal, produces World Beer Cup-winning beers, and distributes its cans throughout New England. The Seattle-based Ghostfish Brewing Company, which has won big at the Great American Beer Festival, makes beer using millet, buckwheat, and brown rice in place of traditional malt. 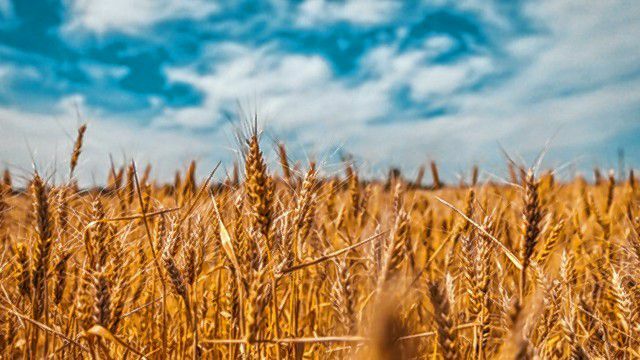 Ground Breaker is referring to allergy-triggering malt ingredients like barley, wheat, and rye, which are big no-nos to people with Celiac disease, an autoimmune disease that can cause gluten to seriously damage the small intestine, even in trace amounts. About 1 in every 100 Americans is a Celiac, and 97 percent of them — or about 3 million people — are undiagnosed. Make fun of your no-gluten friends all you want, but remember that “gluten-free” is a big, clumsy term that people with real medical issues have to share with those making trendy lifestyle choices about their brunch, and everyone in-between. But I think Ground Breaker is trying to downplay another ingredient as well: sorghum. A distant relative of sugarcane, sorghum is used by gluten-free brewers in the form of a molasses-like syrup. It was the main malting ingredient in most gluten-free beers for years. And its tart, unpleasantly sour flavor really puts some people off. In fact, I’d say it’s the lingering taste of sorghum syrup that most people — craft beer snobs or not — associate with gluten-free beer. That’s the veggie burger problem. Since the mid 1980s, when the Gardenburger company introduced us to frozen veggie burgers, most Americans have thought of them as the least appetizing entree at Fourth of July: dry, sad, off-color frozen hockey pucks that are somehow crumbly and chewy at the same time. Although today’s veggie burgers have inherited almost 40 years of stigma, times are changing. Thanks to companies like Beyond Burgers and Impossible Foods, plant-based burgers are becoming more popular. They actually taste great, and the mainstream seems to be noticing. Bill Gates just called meat-free burgers one of this year’s “top 10 breakthroughs.” And starting this month, Burger King is adding the “Impossible Whopper” to its menu, hoping to soon make the meat-free meal available nationwide. In other words: veggie burgers no longer taste like failed substitutes for something else. That’s a rut in which gluten-free beer is still stuck. 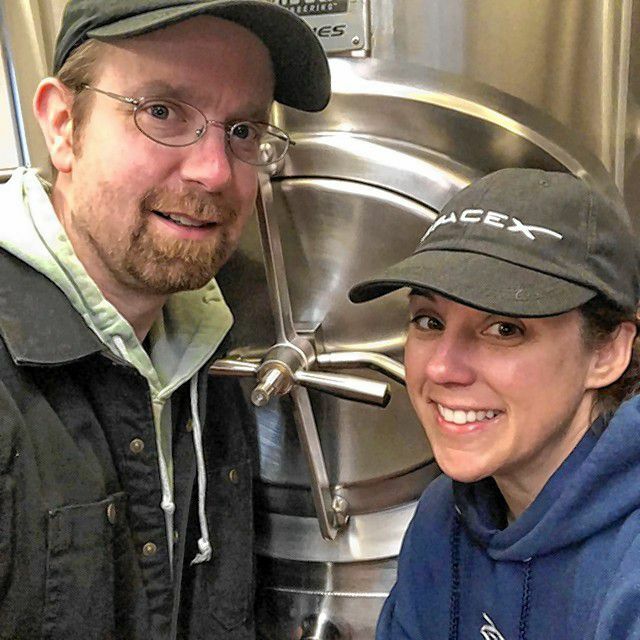 Adam and Shannon Field want to nudge us in a tastier direction when they open Fieldcrest Brewing Company in Wilbraham this spring. Fieldcrest has built a separate grain room dedicated to gluten-free malts — which will minimize contamination — and plans to always have at least one gluten-free beer available at their taproom. Fieldcrest is aiming for the third category: malt-based gluten-free beers made with millet and buckwheat (an ingredient that, ironically, isn’t related to wheat) that produce normal beer flavors. 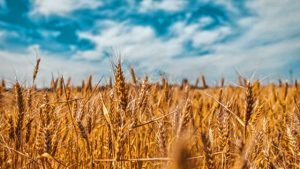 Field and a Celiac buddy have been working with a Colorado gluten-free malting company on a homebrew scale for years, and Fieldcrest will maintain this sourcing as it goes commercial. “It seems like there’s a need for local gluten-free beer, so that’s part of our focus here, to hopefully provide that for the community,” he says. 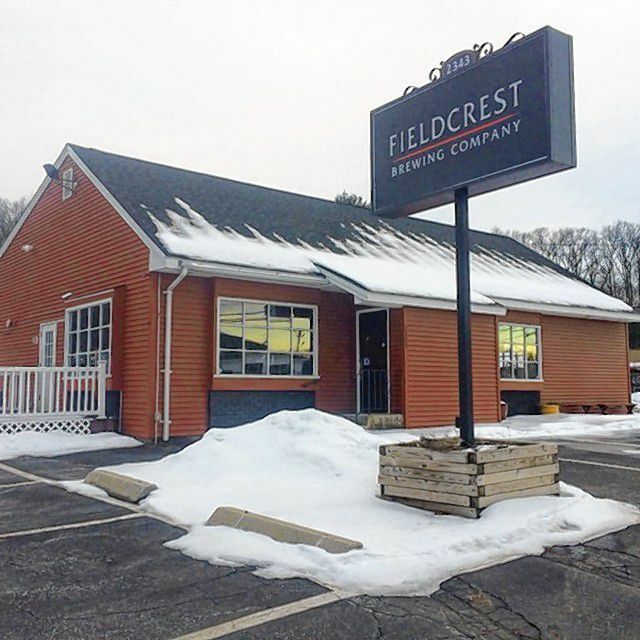 Fieldcrest already has beer in the tanks, and the taproom on Boston Road will be opening soon. The result was Plasma, a strong “sake IPA” made from brown rice, malted millet, malted buckwheat, and an aggressive dose of Aramis hops. Flavorful, and naturally gluten-free — no sorghum required. 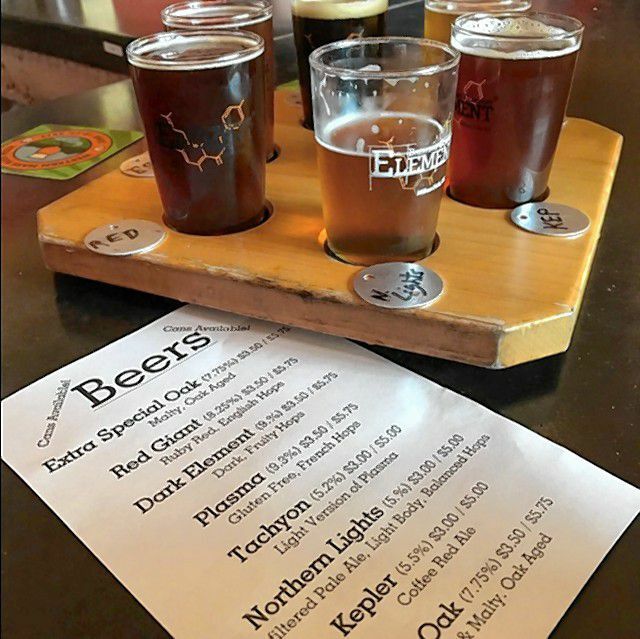 A selection of beers at Element Brewing. Plasma is now one of the best-selling beers in Element’s taproom, and Kramer says the majority of people who order it aren’t gluten intolerant in any way. Kramer agrees that it’s more expensive to brew gluten-free — “we make a spring seasonal beer that requires 30 gallons of maple syrup, and that’s still cheaper than making Plasma” — but it sells well. 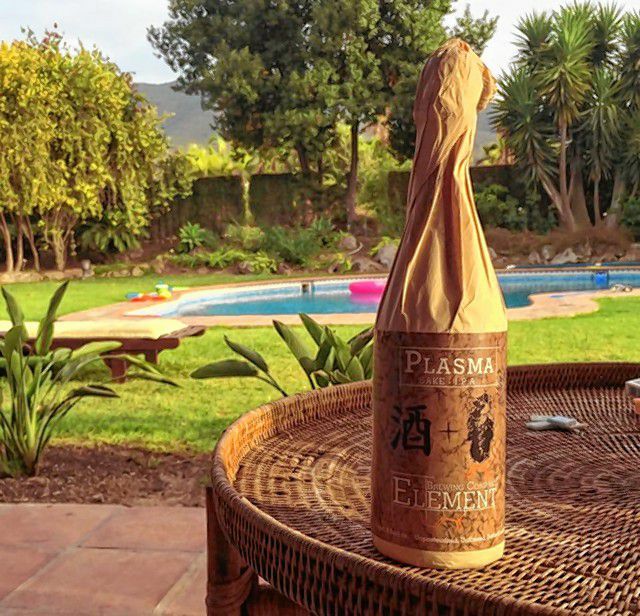 Element later introduced their second gluten-free beer, called Tachyon, which comes in a smaller bottle and clocks in at 5 percent ABV, rather than Plasma’s 9 percent. These beers don’t taste like fake versions of something else — they’re truly delicious in their own right, with well-balanced ingredients and a unique taste. Plasma is available around the Valley in 750ml bottles, but the only reliable place to find it on draft is an allergy-free, dedicated tap line at Wildwood Barbecue in Hadley — a business that well understands the veggie burger problem. Glenn Brunetti says that he didn’t want to alienate anyone. “Nobody eats meat seven days a week,” he says. Wildwood makes many in-house vegetarian and gluten-free dishes as well as meat dishes, including quinoa veggie burgers, mac and cheese, roasted root veggie burritos, and barbecue tempeh stir-fry. Consumers with dietary restrictions aren’t always making a lifestyle choice. For many, ingredients are a matter not just of flavor, but of health and safety. We can’t be sure how long it will take to move gluten-free beer into a new era of acceptance. But from what I’ve had on tap locally, I’d recommend we ditch the syrup, start from scratch, and go for taste.